From the moment I touched down in Salt Lake City, Utah, and looked through the small, oval window of my plane seat, it only took seconds to realize this place was magical. Surrounded by looming, snow-covered peaks, the 40-minute drive to my final destination of Park City was a journey through wonderland – a curving landscape straight out of a Lawren Harris painting. Best of all, elevated 7,000 feet in the Utah mountains, waiting just for me was a historic city with much more to offer than just winter sports. While Park City is celebrated for its extensive ski, snowboard and winter activity offerings, there is plenty to do for those more suited to the “aprés-ski” lifestyle. With its Main Street full of quaint shops, buzzing restaurants and intimate art galleries, I set out to discover exactly what to do in Park City sans the ski gear. Stay in your chalet and take some time to wind down from the hustle and bustle of your regular schedule. I spent some much-needed quality time with myself in my plaid pyjamas reading a good book from cover to cover. The hills around the chalet were blanketed in snow and the fireplace was roaring, creating the perfect atmosphere to snuggle up with a captivating story. If you don’t have room in your suitcase amidst the bulky knit sweaters and leg warmers to pack a novel, stop into Dolly’s Bookstore located on Main Street, a tiny Victorian-style home complete with a resident cat. It’s also attached to the Rocky Mountain Chocolate Factory, perfectly convenient to pick up a sweet treat to snack on while you get lost in the pages of your new book. Park City’s historic Main Street is a hive of activity. There are blocks filled with unique shops to pop your head into and purchase one-of-a-kind pieces to take home. There are jewellery stores, clothing retailers, art and photography galleries to spend your day getting lost in. Animal lovers – stop into the Manglesen Images of Nature Gallery to find breathtaking photographs of natural landscapes, polar bear and grizzly bear cubs, bison and more. There are plenty of places to eat in Park City and you’re guaranteed to find whatever you’re in the mood for. For a true family-style dining experience, Main Street Pizza & Noodle serves up some delicious Italian fare. The restaurant’s lively atmosphere and extensive menu offerings are sure to satisfy the whole family! Cheese lovers, order the 10″ personal cheese pizza, you will not be disappointed. For a fine dining experience and traditional French dishes, Bistro 412 is the place to go. Baked brie, steak frites and French onion soup are just a few of the mouthwatering options on the menu. Sommeliers will also appreciate the impressive wine list that the restaurant offers. Park City has a rich mining history, making many a millionaire in the early 1900’s through the excavation and production of silver ore found deep beneath the mountains. In the 1960’s, as the demand for mining decreased, a change in industry was required, bringing forward one of the best ski resorts in the United States. To learn about Park City’s fascinating past, from its mining roots to the “Great Fire” that burned down half the town, to how skiing became the bread and butter of the city, stop into Park City Museum located on Main Street. Visiting this museum and purchasing tickets to tour the building is highly recommended. You can take your time exploring the historic building, but beware when entering the basement which used to be the county jail. Park City annually plays host to the infamous Sundance film festival in late January. Celebrities flock to the ski-town to take part in the festival and enjoy the city’s many offerings. Live like a film star with Exclusive Resorts and stay in one of 15 luxurious properties at Ironwood in Deer Valley. 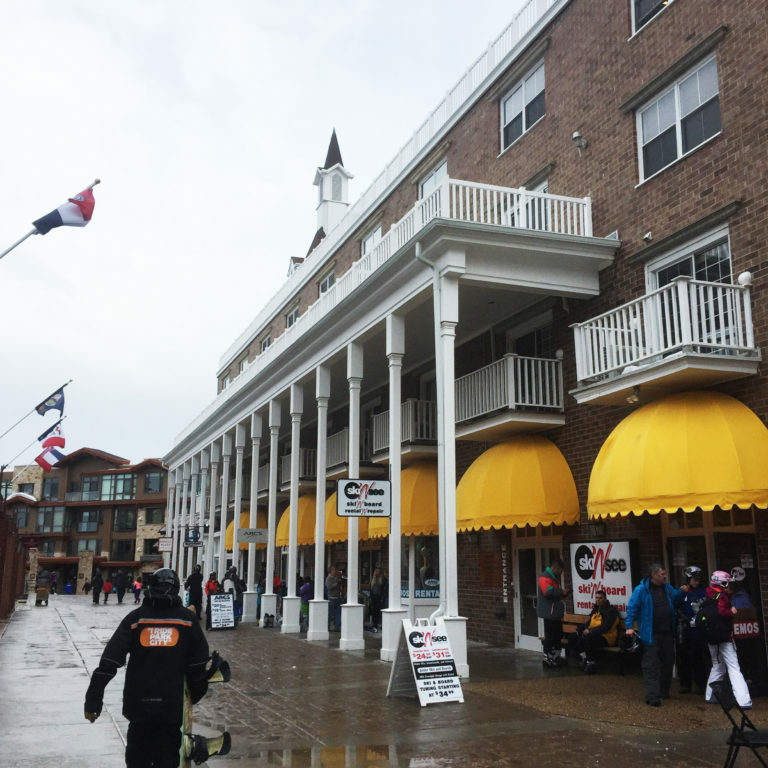 Less than four miles away from Park City’s Main Street, the four bedroom, four and a half bathroom chalets are the perfect accommodation for those looking for the ultimate in aprés ski comfort. For those of us who lack the ski bunny gene, not to worry. This ski-centric town proved to be the perfect getaway in the mountains for this gal! Until next time, Park City.